CONNECT WITH YOUR FAMILY, WITH YOUR COMMUNITY. 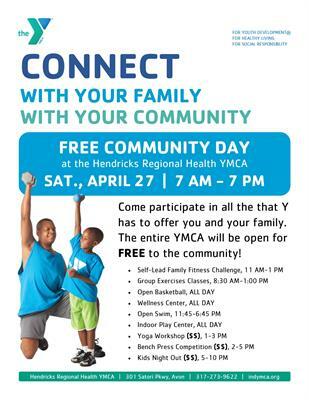 Come participate in all the that Y has to offer you and your family. The entire YMCA will be open for FREE to the community!